MUMBAI: A builder can terminate a flat purchase agreement by giving just a week’s notice on email to the buyer who defaults on an installment. But the developer can refund the money without interest to the purchaser at leisure, within six months. This is one among several controversial clauses in Maharashtra’s draft Real Estate (Regulation & Development) Act 2016 (RERA) rules notified last week. On the other hand, RERA rules framed by the Centre say the builder must refund the money within 45 days (with or without interest, depending on the situation) and does not stipulate cancelling the agreement within seven days in case of default. Many such loopholes in the state draft have been culled out by the city-based consumer rights’ group, Mumbai Grahak Panchayat (MGP). 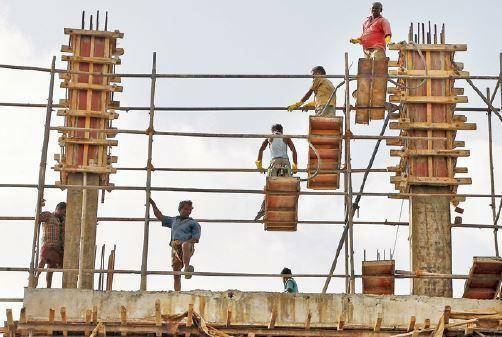 Housing experts and groups like the MGP have accused the state government of diluting provisions of the stringent Act, which they said now favour the construction industry . The state has allowed only 15 days for the public to file objections suggestions on the draft instead of the mandatory 30 days. 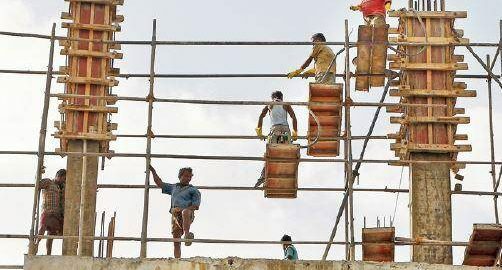 The state’s draft RERA Act has several controversial clauses that favour builders, said housing experts.MGP chairman Shirish Deshpande said the earlier state law, MOFA, permitted the developer to cancel the agreement after giving a 15 days’ notice, and the builder could resell the flat only after refunding money to the original buyer. “Under the new draft rules, a builder can immediately sell the flat after terminating the agreement,’ he said. The state draft has also proposed to increase the burden on flat purchasers; it says a buyer must pay 30% of the total cost while signing the agreement and 45% when the plinth of the building is constructed. The earlier state law stipulated 20% payment when the agreement is signed with the developer. The Centre’s rules do not stipulate any payment schedule; it left it to the states to formulate it. The state draft says builders can pay for the registration fee at Re 1per square metre, which means for a 1,00,000 square feet project, he has to pay approximately Rs 10,000.However, the Central rules prescribed fees of between Rs 5lakh to Rs 10 lakh for residential and commercial projects. Central rules proposed a fee of Rs 1,000 for filing complaints before housing authority; the state draft has proposed to hike this fee to Rs 10,000. “This clearly shows that the state draft RERA rules are biased towards the builder and are diametrically opposite to the very essence of the act where the buyer was supposed to be king,“ said Pankaj Kapoor, MD of Liases Foras, a real estate research firm. “RERA at the Centre aimed at transparency by including a fair share of disclosures. But the Maharashtra notification has eliminated most of these clauses,“ said Kapoor. According to him, key disclosures under Section 4 (2)and Rule 3 (2) have been excluded to be put up on the website of the Authority . These include carpet area of flat, encumbrance certificate (this would have disclosed encumbrances in respect of the land where the real estate project is proposed to be undertaken), copy of the legal title report and sanctioned plan of the building. “The lack of transparency and exclusion of disclosures have left enough room for corruption. The buyer will not be privy to information about the project, and it will be easier for builders to manage higher authorities and change the plan as per their convenience,“ said Kapoor. A prominent builder, who did not wish to be identified, said although he had not studied the draft rules, he thought the law was already tough. “Any more and it would be strangulatory ,“ he said. Builder Rajan Bandalkar, state vice-president of NAREDCO, a body representing developers, said the new law is for “black sheep“ in the industry .“It should ease problems of the industry , not hinder it,“ he said. He supported the state’s draft rule, which does not make it mandatory for builders to submit I-T returns. “Why should it be made public? It can be misused,“ he said. The loopholes pointed out by housing experts in the draft rules make it evident that the state is more concerned about safeguarding the interests of the building industry rather than flat purchasers. RERA was meant to protect consumers, but the new draft is littered with gaps which will make it smoother for builders to circumvent the law. The Fadnavis government plug them immediately.